Guangzhou Jubilant Performance Materials Ltd.
Silicones have unique properties amongst polymers because of the simultaneous presence of organic groups attached to a chain of inorganic atoms. They are used in many industries including those devoted to electronics, paints, construction and food. Silicones are synthetic polymers with a silicon-oxygen backbone similar to that in silicon dioxide (silica), but with organic groups attached to the silicon atoms by C-Si bonds. The silicone chain exposes organic groups to the outside. Thus, despite having a very polar chain, the physical properties of silicones are similar to those of an alkane. 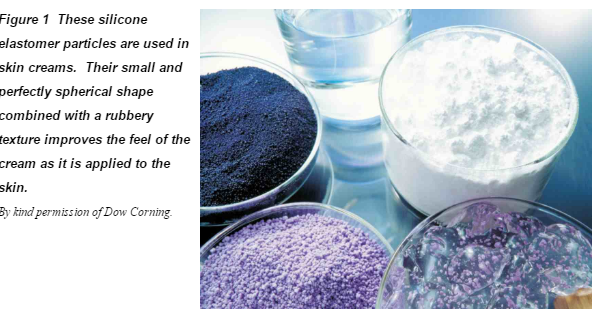 However, the -Si-O-framework of the silicone gives the polymers thermal stability, as in silica, and so they can be used where comparable organic materials would melt or decompose. To distinguish between different silicones, systematic names are used, based on the monomer. 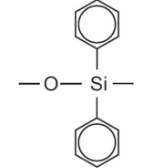 The simplest silicon compound is silane, SiH4 which belongs to the homologous series of silanes. Silanes correspond to the alkanes whose simplest member is methane, CH4. The presence of the oxygen atoms in the silicone chain is indicated by using the systematic name, siloxane, so termed as it contains a silicon atom, an oxygen atom and it is saturated as in an alkane. 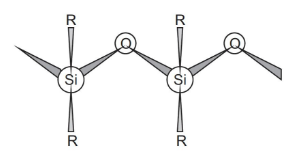 Thus if the groups attached to the siloxane chain are phenyl groups, the resulting silicone is called poly(diphenylsiloxane) and has repeating units along the chain. The most widely used silicones are those which have methyl groups along the backbone. Properties such as solubility in organic solvents, water-repellence and flexibility can be altered by substituting other organic groups for the methyls. For example, silicones with phenyl groups are more flexible polymers than those with methyl groups. They are also better lubricants and are superior solvents for organic compounds. Their physical form and uses depend on the structure of the polymer. The silicones with short chains are fluids which, compared to hydrocarbons, have a more or less constant viscosity over a wide temperature range (200 to 450 K). They also have very low vapour pressures. The low surface tension of silicone fluids gives them unique surface properties. They are, for example, used as lubricants in polishes (a mixture of wax and a silicone fluid dissolved in an organic solvent), in paints and for water-proofing fabrics, paper and leather. They also have anti-foaming properties and have been used, for example, to suppress the foaming of detergents in sewage disposal plants. They have a low enthalpy of vaporization and a smooth, silky feel and thus are attractive as a basis for personal care products such as perspirants and skin care lotions. A range of fluids is made by mixing polysiloxanes of low molecular masses with others with higher molecular masses. Some use the cyclic silicones which are formed during the preparation of the linear polysiloxanes. (b) Silicone gels are based on the poly(dimethylsiloxane) chains but with a few cross-links between the chains, giving it a very open three-dimensional network. Often the cross-linking is done after a silicone fluid, together with a reactive group, is poured into a mould and then warmed or catalysed so that there is interaction to form cross-linking between the polymer chains. This is a very effective technique for protecting sensitive electronic equipment from damage from vibration and the polymer also acts as an electrical insulator. Pads containing a silicone gel are also used as shock absorbers in shoes, particularly in high-performance trainers and running shoes. (c) Silicone elastomers (rubbers) are made by introducing even more cross-linking into the linear chain polymers. The structure is somewhat similar to natural rubber and they behave as elastomers. Their structure is determined by the amount of cross linking and the length of the chains. Although their strength at normal temperatures is inferior to that of natural rubber, silicone rubbers are more stable at both low temperatures (200 K) and high temperatures (450-600 K) and are generally more resistant to chemical attack. Silica is added as a filler (Unit 53) to make the elastomer stronger. (d) Silicone resins have a three-dimensional structure with the atoms arranged tetrahedrally about the silicon atoms. The resins are usually applied as a solution in an organic solvent, and are used as an electrical insulating varnish or for paints where water repellence is desired, for example, to protect masonry. They are also used to give an 'anti-stick' surface to materials coming into contact with 'sticky' materials such as dough and other foodstuffs. Hydroxyl groups on the resin react with hydroxyl groups that are on the surfaces of various inorganic surfaces such as silica and glass, thus making the surface water-repellent. A large range of silanes, known as coupling agents, has been developed to enable chemists to bond an inorganic substrate (such as glass, minerals and metals) to organic materials (for example, organic polymers such as the acrylics, polyamides, urethanes and polyalkenes). The resulting coatings confer the surface properties of a silicone to a very wide range of materials. Similar mechanisms enable some resins to be used as adhesives. Silicon is first converted into chlorosilanes, e.g. RSiCl3, R2SiCl2 and R3SiCl, where R is an organic group. Careful distillation of the liquid mixture of chlorosilanes produces pure fractions of each chlorosilane. Dimethyldichlorosilane is the main product (ca 70-90%, the amount depending on the conditions used). If R is a methyl group, the polymer is a poly(dimethylsiloxane). Poly(dimethylsiloxanes) are produced with n = 20-50, which is not long enough to produce useful silicones. These relatively short polymers are known as oligomers. Cyclic polymers, for example ((CH3)2SiO)4, are also produced and then separated out. The value of (m+n) is usually between 2000 and 4000. The production of longer chains is favoured if the water is removed, for example by working under vacuum. iii) A further way of producing cross-linking is to have an ethanoyl group in the silane. When these silicones are exposed to the air, the moisture reacts with the functional group, yielding a cross-linked silicone. An organometallic tin compound catalyses the reaction. These systems are often used as sealants and can be used in the home. The other product formed is ethanoic acid which can be recognized by its vinegary smell. (iv) If some methyltrichlorosilane is added to the reactant, say dimethyldichlorosilane, the three chlorine atoms are hydrolyzed, thus producing a three dimensional network. In all four methods, the physical properties of the silicone can be modified by varying the proportions of the reactants, which controls the extent of cross-linking and hence how rubbery is the product. NextSilicone Vs. Plastic: What's The Difference & Is One Safer? Whether you seek innovative solutions or greater cost efficiency, Jubilant can help.